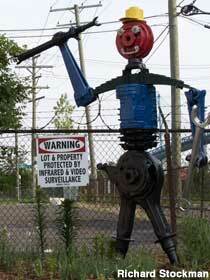 lawn statues, and can even purchase one for your own lawn if you so choose. Gaylord, MI is home to the 45th parallel. This is the line directly between the equator and the north pole. Stop by and see the marker there that has its own rustic look. 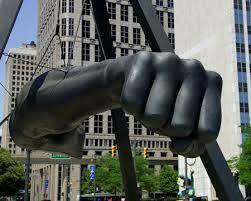 A trip to Detroit is full of interesting sights, but for the boxing fan, what could be better than a 4 ton statue of Joe Louis’ arm, ready for a fight? Speaking of giant things, you can also catch a view of a giant cow head and bowling pin while passing through. Also in Detroit, Lawndale Market which has thousands of photos of their customers adorning the walls, and Transmission Man, a sculpture of a man made with car parts. 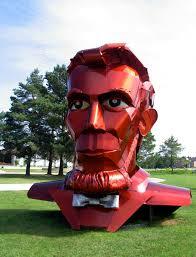 Moving on, also in Michigan, you can find Onaway, home to many amazing and one again large, metal sculptures. 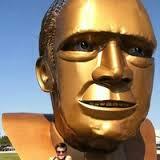 These include Abe Lincoln, Lady Liberty, and Gerald Ford. 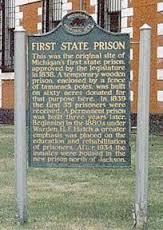 Finally, a visit to Jackson, MI will bring you to their first state prison, which has been transformed into a residence. 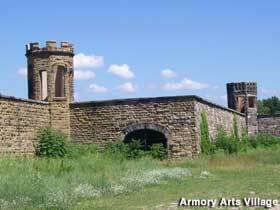 Never fear, however, you can still take tours of the prison, tunnels and lofts that are there.